Charitable Annuity prevailed by a nose over North Atlantic in the 2017 West Virginia Breeders Classic, and they meet again Saturday. Photo by Coady Photography. Familiar names figure to play leading roles in a quartet of state-bred stakes Saturday on the undercard of the Grade 2, $1.2 million Charles Town Classic Saturday at Charles Town Races. 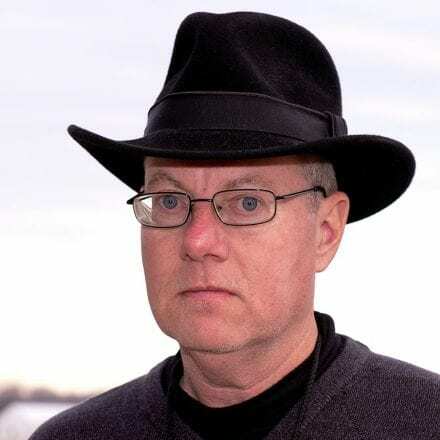 Not surprisingly, trainer James W. Casey will be well represented this Saturday as he sends out two-time West Virginia Classic hero Charitable Annuity in the inaugural edition of the $35,000 Lucy’s Bob Boy Stakes for state-bred older runners, Bound to Windsor in the $35,000 for state-bred three-year-old fillies and William and Mary in the $35,000 Coin Collector, a one-turn dash for state-bred three-year-olds. Casey will also saddle Greenway Court in the $35,000 Caixa Eletronica, an open one-turn dash named for a former Charles Town Classic winner. Bound to Windsor will make her sophomore debut in the $35,000 It’s Binn Too Long Stakes and break from the rail in the one-turn affair. Last season the daughter of Windsor Castle owned, bred and trained by Casey won four of five starts, took down three stakes – including one against the boys – and earned nearly $120,000. Bound to Windsor has been training well for her seasonal bow, but Casey is only cautiously optimistic about her chances this weekend considering her fondness for longer events and the presence of the speedy Late Nite Pow Wow, who got his attention last Friday. Speaking of William and Mary, that Casey trainee has already made two starts at age three, winning the belated edition of the Tri State which was originally slated for last December for two-year-olds but contested early this year for state-bred three-year-olds. He won three times in five starts last year and suffered one setback against his talented female stablemate, Bound to Windsor, but Casey found out belatedly that William and Mary was never made eligible to the West Virginia Breeders Classics. He could, of course, supplement him to one of those events later this fall. 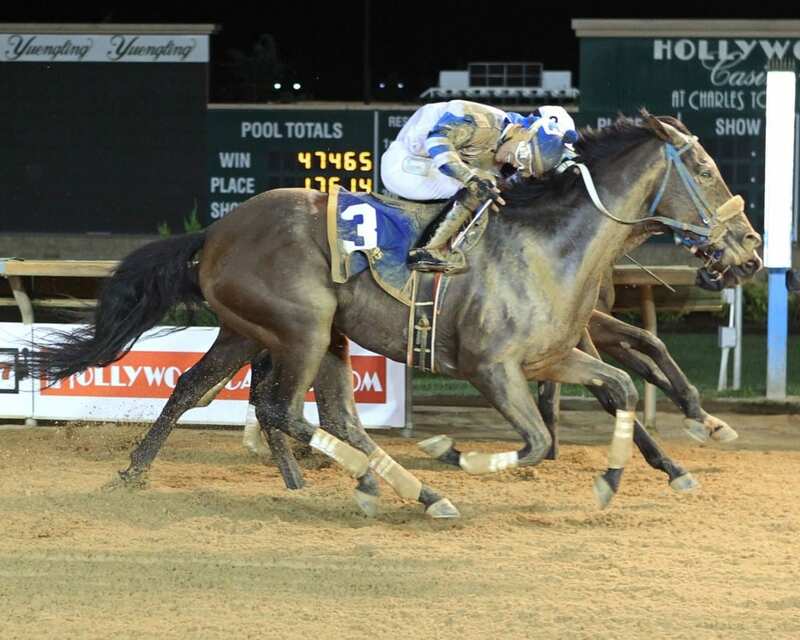 Charitable Annuity, another Casey runner, has already proven his ability in the centerpiece race on the calendar, having captured the $500,000 West Virginia Breeders Classic at age three in 2015 and then again last fall at age five. Owned by Mark Russell of Russell Road fame, Charitable Annuity was second to North Atlantic in his seasonal debut here last month and he will face that one again this Saturday in the inaugural edition of the $35,000 Lucy’s Bob Boy overnight stakes for state-bred older males. While Charitable Annuity has already taken center stage by winning the Classic twice for Casey, a pair of talented state-bred fillies and mares who have already scored in the coveted Cavada on WVBC night will clash this Saturday in the second running of the $35,000 Down Town Allen Stakes, a two-turn affair for state-bred distaffers. Defending Cavada heroine Moonlit Song, a four-year-old daughter of Fiber Sonde owned, bred and trained by Tim Grams, made her seasonal debut last month by taking a one-turn allowance dash and looms the odds-on favorite in the Down Town Allen despite getting post 10 in the 6 1/2-furlong event. Last season Moonlit Song won eighth of 11 starts and earned nearly $235,000 and was clearly the best state-bred female of any age. Grams is obviously targeting a title defense in the Cavada, but viewed the Down Town Allen as a good stepping stone to the fall feature. Looking to upend Moonlit Song this weekend is another former Cavada winner, Cuppa Mocha Mojo, a seven-year-old Mikimoto’s Mojo mare who has been idle since running second in the 2016 edition of the six-furlong stakes for state-bred distaffers. Trained by David Walters for owner Terri Catlett, Cuppa Mocha Mojo won the 2015 edition of the Cavada and arrives with seven wins and over $210,000 banked from 13 career outings. Her conditioner says the mare did not have a serious injury that prevented her from making a single start last year, but he allowed her to rest and recuperate until she completely regained her soundness. While Moonlit Song and Cuppa Mocha Mojo head into the Down Town Allen as proven commodities, Late Night Pow Wow will head into the It’s Binn Too Long against Bound to Windsor looking to make good on some early promise and potential. Trained by Javier Contreras of Hidden Canyon and Amherst Street fame, Late Night Pow Wow has won her first two starts, prevailing last fall in a 6 1/2-furlong maiden special weight event on the undercard of the Grade III, $300,000 Charles Town Oaks then returned last Friday to score by seven lengths on the April 13 program. Trainers Casey and Runco will clash in the Caixa Eletronica with Greenway Court, a nine-year-old Windsor Castle gelding and Casey homebred who boasts 18 wins and $480,000 banked in 37 career tries who will face Runco trainee Strong Like Bull, along with speedy filly Alexandra Rossi and prominent local sprinter Roman Officer for trainer Kevin Patterson. Then Casey will send out Charitable Annuity in the Lucy’s Bob Boy while Runco will saddle North Atlantic, winner of his seasonal debut, triumphant in three straight and victorious in nine of 24 starts overall with earnings of over $270,000.They have become accustomed to running against one another locally and this will already be their second of numerous meetings this season over the Charles Town strip.